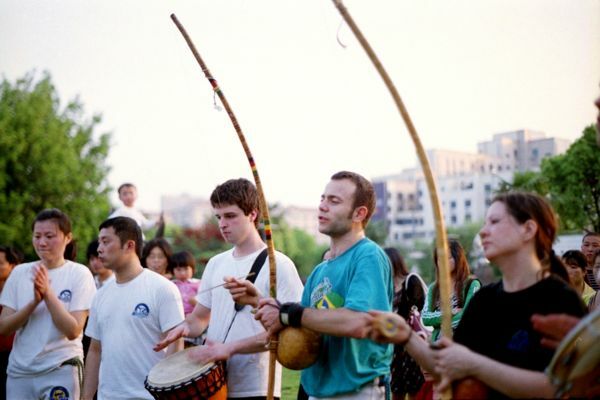 Kunshan capoeira trip. Should be at 9am, but train had not been waiting for me. Even though it started later for me, I did not miss the main thing – RODA. Special roda. Our strong team of capoeira beginners got the light green belts. Open air, smell of green grass and genius capoeristas made this trip very cool.